Evan Paul English is an interdisciplinary artist, born and raised in Meridian, Idaho. He received his BFA from University of Arizona, earned his MFA from Pratt Institute in 2016, and currently lives and works in Brooklyn, New York. 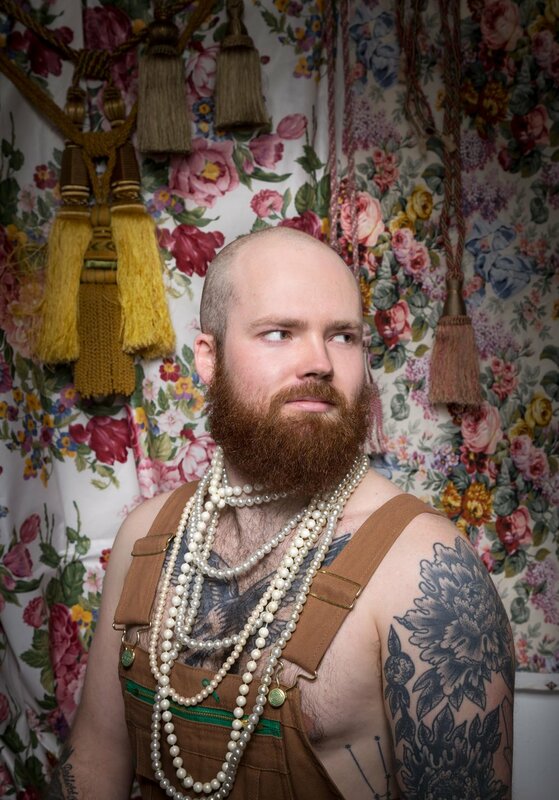 Evan's work uses a range of media to explore the duality between public and private identity, often utilizing decorative arts to subvert gender stereotypes through a queer lens. His work is exhibited internationally. He recently had a solo exhibition at NAPOLEON Gallery in Philadelphia, exhibited work at The Boiler | Pierogi in Brooklyn, presented his MFA thesis exhibition, participated in “The Haunted Mill” at the Wassaic Project, and participated in “The Other Art Fair” Brooklyn. He is a recent solo artist-in-residence at Surel's Place in Boise, Idaho, artist-in-residence at Vermont Studio Center, and artist-in-residence at the Wassaic Project.